I was lucky enough to win ‘The Only Ones‘ Essie Summer Collection giveaway, plus I got to pick my own full sized Essie nail polish. I thought I’d post about it because all the colours are just gorgeous and I’m super grateful. 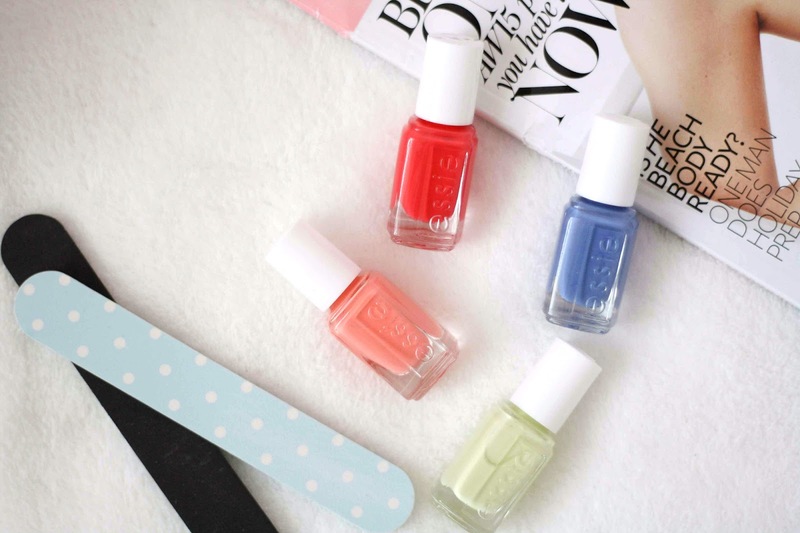 You can read The Only Ones post on the Essie Summer Collection over on here blog, here. She held a giveaway and I was the lucky one! I’ve never owned any Essie nail polishes before, so obviously I was seriously excited to hear I’d won. I was allowed to pick out my own full sized nail polish also, and I opted for ‘Maximillian Strasse-her’ which I know is a popular shade, plus I don’t own anything like it in my collection. So lets talk about the summer collection, first in the pack comes ‘Chillato’, a lovely muted green colour which I actually love. Secondly is ‘Peach Side Babe’, which is a pale peachy shade which is so perfect for summer. Moving onto ‘Pret-A-Surf’ which is a bright pinky red shade. It reminds me of the colour of an ice lolly you’d have on holiday. And finally we have ‘Sunset Sneaks’, this is probably my favourite out of the bunch. Such a unique shade of blue, and it also helps I love blue nail polish haha. 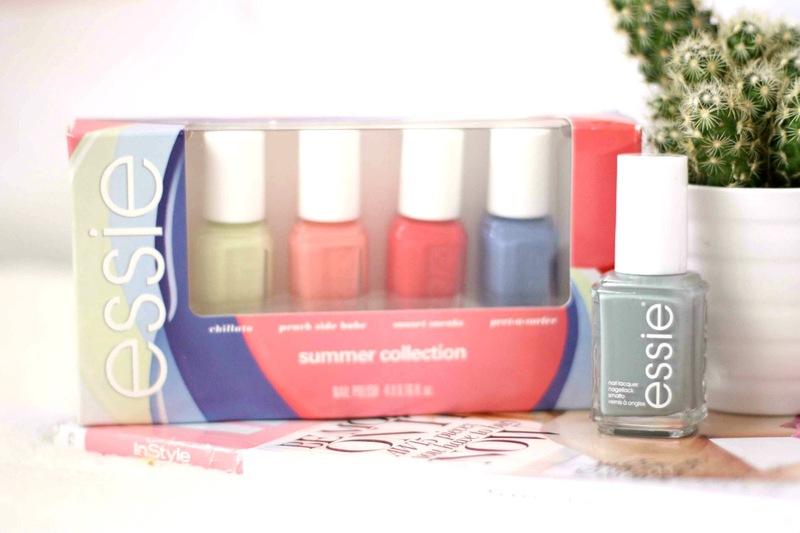 All in all, the Essie Summer 2015 collection is just gorgeous, and I’m so happy I was able to win it. The shade I picked which is ‘Maximillian Strasse-Her’, is a grey polish with a muted green undertone. I’d seen a lot of hype over this in the past, and I know that both Vivianna Does Makeup and Lily Pebbles love this shade; and I trust their opinion. Plus, I own nothing similar to this colour so it sort of made sense. Its actually a big contrast of the summer collection, which I thought was a good idea as this could see me through into the colder months. I’m honestly in love with the shade as its so wearable as well. A big thankyou to The Only Ones (Natalie), who’s blog I absolutely love, for hosting such a great giveaway, and I’m very happy I was able to win.